We here at 1st Choice Pest Control, work for you! 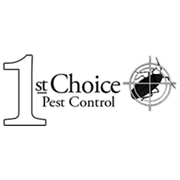 Rate and review 1st Choice Pest Control in Paris, TX, United States! Share your experiences at 1st Choice Pest Control with your friends or discover more Pest Control in Paris, TX, United States.